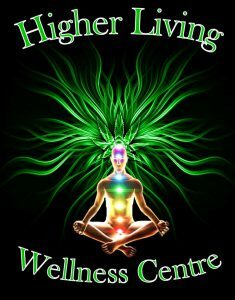 Roger, 52 – Higher Living Wellness Centre Inc. Prior to that, Roger had been involved in a motocross racing accident as a teenager that ended up crushing the bottom vertebrae in his lower spine. Doctors told him that he could expect to be in a wheelchair by age 40. “I’m a tough frenchman” Roger chuckles. “I can’t lie, since I’ve been young, I’ve preferred smoking cannabis over drinking but it wasn’t until 4 years ago that I started reading about the properties of cannabis and the pain management possibilities.” Roger’s father had just passed away from cancer. “Three months from diagnosis to death.” Roger spent every day he could with him vowing to find an answer. He discovered cannabis oils in regards to cancer treatment . The results exceeded his expectations in regards to pain relief. “I didn’t think ingesting oil would work as well as it did. The first time I ran out, within 3 months my hip and back were both really bad. However, within a few weeks of ingesting oil, I was able to do things again without a lot of hindrance.” Sometimes not even noticing the relief he was getting until he was doing things he couldn’t do previously. Roger now grows his own medicine. He blends his own oils and makes cookies and infuses foods with it. He prefers indica for the relaxed state of mind it gives him. It also helps him sleep and relieves his anxiety, overall giving him a better quality of life. Roger does not use opiates or prescription anxiety medication anymore. When asked about the impending Legalization, Roger said it’s a sticky situation. “There are people that have had serious issues with pain management and a few other medical issues that have made them make the decision to either use opiates, or anxiety medication, what have you, (then they) try cannabis to control it. I’m one of them. After years of using pharmaceutical medications, I decided to try to help my body by going natural, and for me it works by ingesting the oil. Then there are people trying to ride the medical train to just get high for recreation, don’t get me wrong, I get it, but it is wrong to flog the system. To be fair about it why can’t people wait for the recreational to be legal? It’s not like those people would do anything different anyway, so go get your weed and smoke it like you always have. It makes me wonder about the dispensary doctors giving medical cards to anyone that has a $100, without medical documentation regarding their health problems. All it takes is word of mouth to get one (prescription), if nothing else, I have had 3 doctors, not from a dispensary look at my medical conditions, looked at the years of opiates and other medications that haven’t worked and agreed, it is worth trying because of the long term issues I have and will have for the rest of my life, leaving me unable to walk for more than a couple of hours a day and limited use of my arms which is very trying at times. For those of you who don’t know, I was supposed to be in a wheelchair by age 40, but I’ve battled adversity for a long time. Being 52 now going on 53, things are getting very noticeable now compared to 10 years ago when I was very able. Have I been around the “demon weed” most of my life? Yep.. Did I use it for recreation? Yep. Did I enjoy it? Yep. But when I started ingesting cannabis oil for pain, I realized something I didn’t know, recreation and medical ARE two different things, and as of late I am seeing the differences between the two, so smoke your little smoke, drink your little drink, but leave my medicine alone. Many say all use is medicinal, but I beg to differ. If you are using cannabis to manage or treat pain/illness and would like to be featured in our blog, please contact me through Comments or through the Contact Tab. Please subscribe to our mailing list and follow us on Facebook, Twitter and Instagram.